Assuming that the you elect to pursue a public Cloud and selects AWS as the public Cloud, the following are some key considerations. Customer/Partner Responsibility: Customers assume responsibility and management of the guest operating system (including updates/security patches), other associated application software, and configuration of AWS-provided security group firewalls and other security, change management, and logging features. Cloud services procurement, design, architecting, and implementation followed by managed services is much more than just purchasing AWS line items. The State will need an Amazon Advanced Consulting Partner who has the expertise to assist and provide continued 3600 support in all aspects of Cloud services acquisition and complete Cloud managed services. The partner should support requirements gathering/discovery, architecting and designing the solution, ensuring security compliance, implementation phases including workload migration, and providing managed services to ensure performance, cost, and service-optimization management of the complete solution. The customer must architect and manage these services. If the State chooses to perform all customer responsibility itself, the Partner would simply set up the VPC and all required AWS services and will become responsible for usage billing. However, if given a task, the Partner’s Cloud solutions/architecture team will work closely with the State and assist in these tasks, from requirements gathering all the way to deployment of the solution and data, followed by configuration and implementation of business-focused and requirements-based managed services. The Partner should have already built these solutions and will be able to provide rapid deployment upon customer request and approval. Effective IT governance helps in successfully aligning IT with business needs. 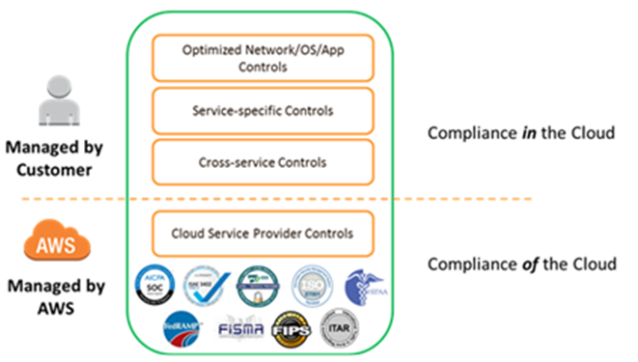 The partner should have developed a sound Cloud governance model that leverages the Partner’s experience in state and federal focused Cloud solutions, managed services, and deep understanding of industry best practices to help establish IT governance that can improve IT efficiency, effectiveness and responsiveness as well as control over IT operations in the Cloud. The Governance model needs to be backed up by tools, processes and methodologies that the State or an AWS partner uses. It needs to address all governance issues including security, architecture, identity and access management, workload migration, ongoing monitoring, accounting and billings, and optimization. Approaching compliance governance in this manner will help companies gain a better understanding of their control environment, and will help clearly delineate the verification activities to be performed.